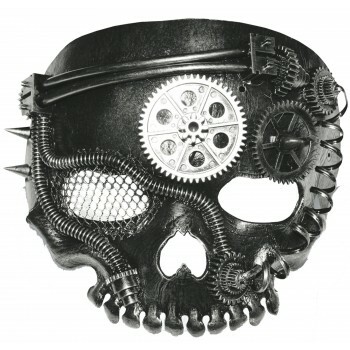 This mask is an interesting mix of both steampunk and horror! 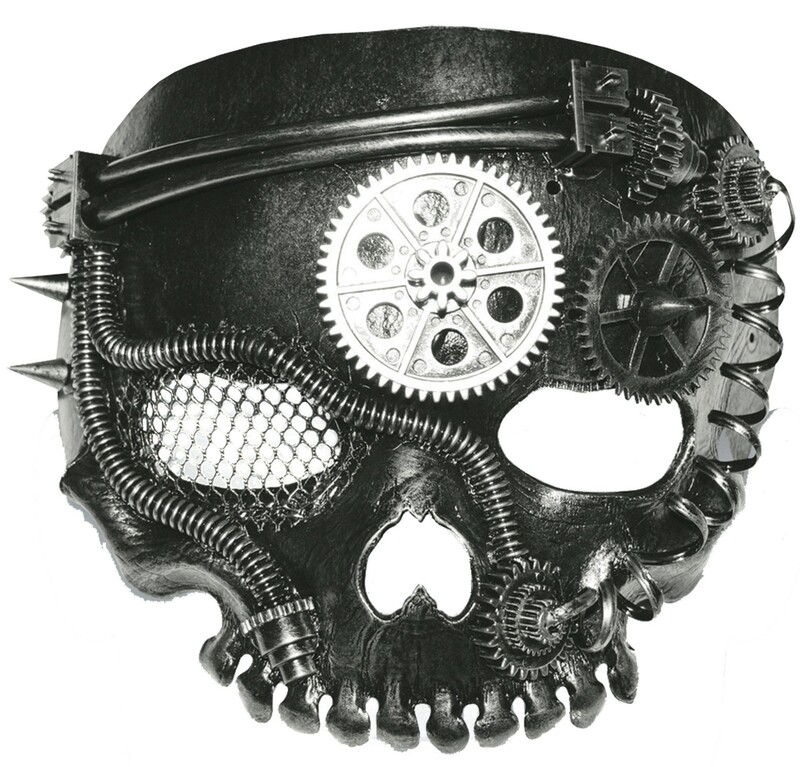 Mask is metal-like and skull shaped without the jaw, with mesh over one of the eye holes and a large silver gear in the middle of the forehead. One size fits all.